At Steve’s PaleoGoods, we produce protein power without using powder. Our food is made from REAL FOOD. Check out our complete line of JERKY, STIX and BARS, all deliciously clean and great for on-the-go. We use only the highest quality ingredients and rely on people to produce and package everything we make. The result? Hand craftsmanship you can see and quality you can taste. Protein is the powerhouse. If exercise is part of your daily routine, it’s extremely important to maintain protein intake. Protein supplies your cells with protein building blocks called amino acids that aid in muscle repair. Ingest a high-protein snack after weight training to help muscle growth, repair and recovery. If maintaining a healthy body weight is your goal, protein is your friend as it helps build and preserve lean muscle mass. During weight loss, bodies lose both fat and muscle. Maintaining protein intake will help combat muscle loss while increasing fat loss. If your goals include changing body composition, it’s important to preserve your lean muscle for calorie burning by increasing protein intake! Since muscle is made primarily of protein, a high protein intake will reduce muscle loss. Why don’t we like powder? It’s fast, easy and cheap… Need we say more? 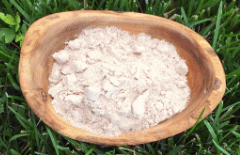 Powders are high-heat-treated, acid-flushed and frequently contaminated with synthetic additives, chemical detergents, and heavy metals. Some claim to be “naturally sweetened,” but ingredients like maltodextrin and xanthan gum are anything but natural. There are a few clean options out there. Check the deck for ingredients you can not recognize or pronounce. All the taste of pizza, none of the GUILT. 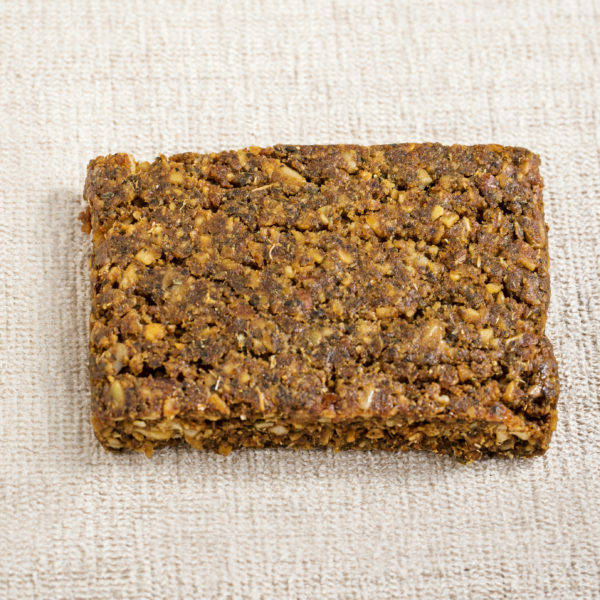 Our newest paleo protein snack in the line up delivers something many protein bars don’t. CRUNCH! ProteinKrunch Bars have a base recipe of almonds, coconut, pumpkin seeds, sunflower seeds, honey, pork rinds, eggs and spices. As always, there’s no gluten, no added sugars and no junk! Now available in two flavors, Pizza and Everything Bagel, you’ve got to taste these bars to believe. While the ingredients are very different from their namesakes, the flavors are dead on. Each packs 16 grams of pure delicious protein to keep you fuller longer. We make the world’s best jerky. We are all about the meat. It’s how we got our start! Steve made his very first batch of jerky in his kitchen almost a decade ago, and today we have over a dozen varieties for every taste. Handcrafted in very small batches, we consider trimming, spicing, marinating, curing and roasting an art form. Our unique vacuum package preserves our jerky while keeping it moist, and eliminates the need for preservatives and additives. Our 2oz serving size contains 24g of protein. 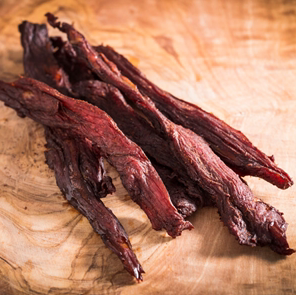 Much like our jerky, there’s no junk in our PaleoStix We dry, smoke and spice our meat to safely preserve it without using additives. Perfect for on-the-go, PaleoStix are easy to eat while driving and won’t leave your keyboard sticky if you like to snack and type. Traditionally packaged as four 1oz stix delivering 28g of protein, and now available in “bite size” 1.5oz for when you need a quick snack or a protein pop in a school lunch! PaleoBars pack 11-13 grams of delicious protein. 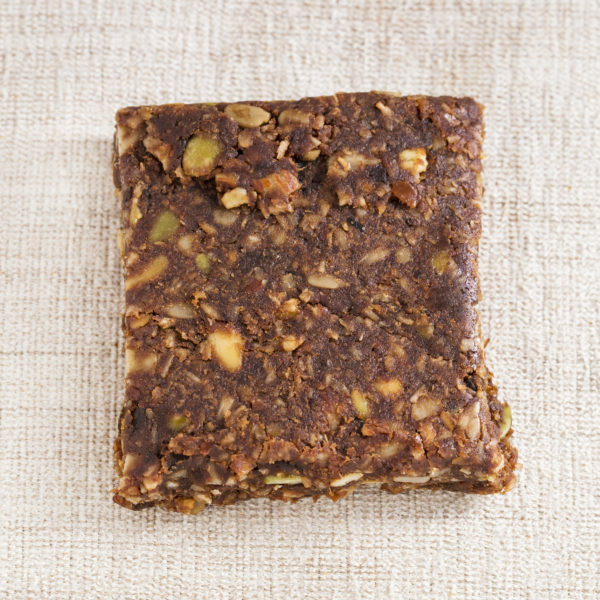 If freshly baked paleo treats are your jam, we have the bar for you, protein style! Gluten-free and grainless, PaleoBars have 11-13 grams of protein and taste like your favorite homemade muffin, with no added preservatives, artificial sweeteners or refined sugar. Made with REAL egg whites (no powders), PaleoBars are a great way to start the day with a cup of coffee or the perfect protein-packed snack for your backpack! Our yummy flavors include Pumpkin Cranberry, Nutty Butter, Bacon Eggs & Coffee and Chocolate Pineapple. All real food, and all delicious!